If you guys haven't heard of this website, they sell variety of products such as Dolly Wink, Circle Lenses, 3 Concept Eyes, and other beauty products for really reasonable price! 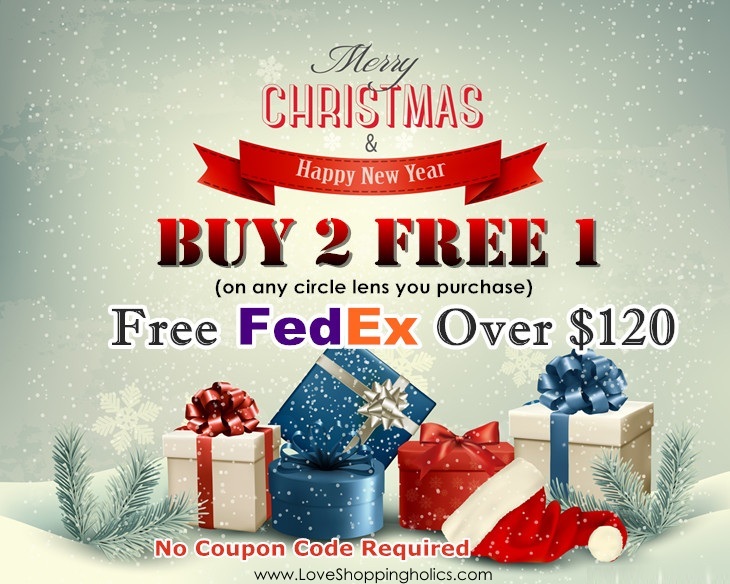 such as Buy 2 Get 1 Free for any circle lens purchases! I know I always good deals for their website for their Christmas Promotion! - LoveShoppingholics reserves the rights to change the promotions without any prior notice.